While there are various conservation and tourism diploma courses available, there are no comprehensive diploma courses available for students that are serious about a career as a professional nature guide. Many guides complete short courses only to spend two fleeting years in an industry for which they are not adequately prepared in order to sufficiently grow and promote themselves. In addition, school leavers may find that after completing a shorter course, they are not yet able to start working as they have to wait to turn 21 to register as a guide. By completing this 3 year programme, you are guaranteed to enter the job market as an exceptionally qualfied guide with current and relevant experience and a level of competence that far exceeds that of other entry level guides. The programme provides the more practical, yet serious career student with a well structured academic and practical programme, that includes the full range of knowledge and skills required by guides to succeed in the dynamic wildlife tourism and conservation industries. 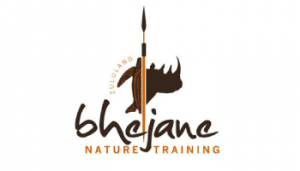 The Bhejane Advanced Nature Guiding and Wildlife Conservation 3 Year programme, is the only one of its kind in the industry, and has been developed to most accurately meet the demands of the Wildlife Tourism Industry for the employment of Professional Guides, Conservation Research and Field Assistants, and conservation entrepreneurs. This unique programme ensures a qualification that will adequately prepare the student for a career in Guiding and Conservation with a focus on developing the knowledge and skills needed to be a versatile and knowledgeable guide, that can fill responsible positions above those of entry level guides. It is also the only programme of its kind that prepares the student to work in both terrestrial and marine ecosystems. The programme has been designed with a panel of advisors and industry partners that include Wildlife Act, WWF-SA, FGASA and local lodges and reserves. Graduation occurs only after successful completion of all 3 years. Acceptance may be subject to an admission interview.